"My style can be described as vintage chic. Style Icon Daphne Guinness inspires me because she has such a passion for haute couture and she makes things that other people would find grotesque beautiful." 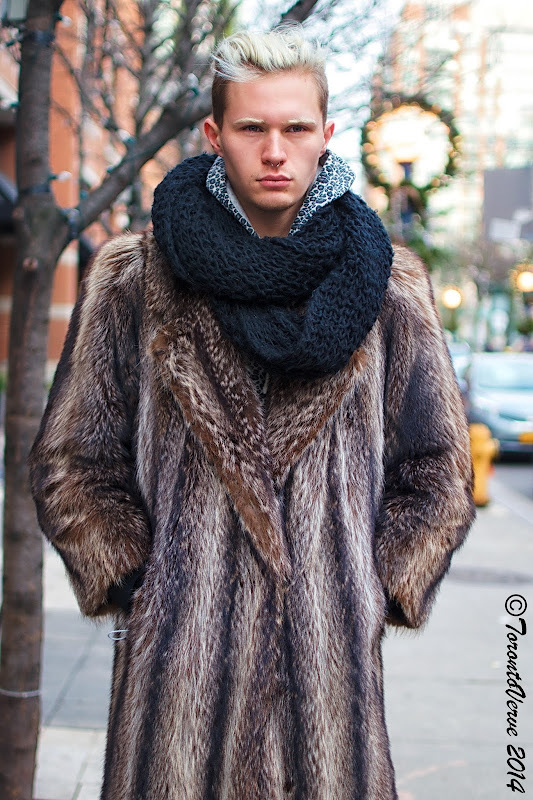 We previously featured Connor's cool street style in the summer of 2013. 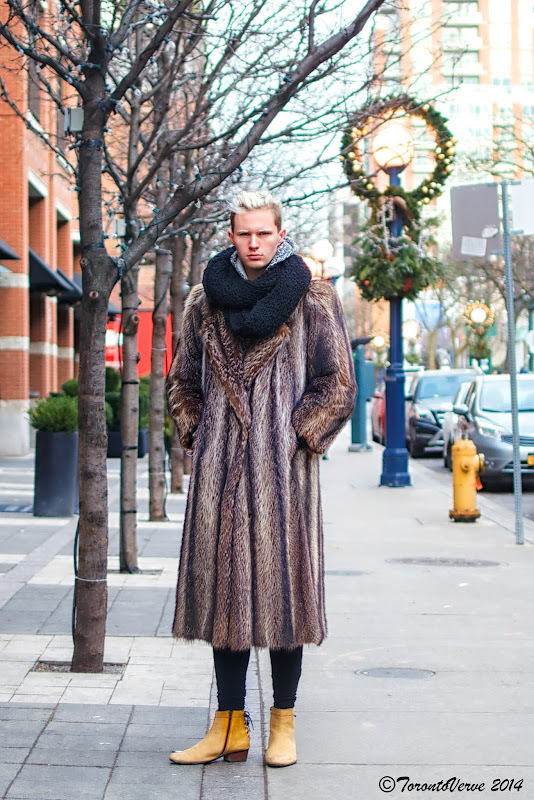 I met Connor before he moved to Toronto and was impressed with his fearless style. It's not easy for a man to pull off a fur coat like that, but he makes it look both masculine and feminine at the same time.